Granlund is the latest senior appointment at Cinnober, which has been aggressively hiring in H1 2017. Cinnober has continued adding to its executive team in 2017 with the addition of Mattias Granlund as its newest Deputy Chief Technology Officer (CTO). The hire will be instrumental to the clearing technology provider’s long-term plans of bolstering its product development. The appointment of Mr. Granlund reflects Cinnober’s latest executive appointment, less than a couple weeks after securing Ninni Pramdell to the newly created role of Group Chief Financial Officer (CFO). Cinnober has undergone a number of key developments already in 2017, including the formation of a new subsidiary back in May. The subsidiary was launched to provide contextual surveillance and insightful analytics for exchanges and regulators – company veteran Alastair Goodwin was tasked to lead the newly formed entity. Mr. Granlund joins Cinnober with immediate effect and will be based out of Stockholm. He will be focusing on the group’s long-term technical strategy while also helping drive its continued product development. He will be working closely with one of Cinnober’s most senior specialists, Peter Lenti, the group’s co-founder and CTO. 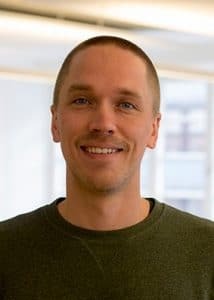 Mr. Granlund joins Cinnober from Swedish e-commerce group Klarna, where he worked as its Team Lead for Consumer Identification. He also worked a stint at Google, filling multiple roles including Quantitative Research Manager. Additional positions also include CTO of Silicon Valley startup Yo. “The current technical landscape offers plenty of opportunities for the disruption of marketplaces as well as clearinghouses. I look forward to advancing the long-term product development at Cinnober and preparing our clients and other financial actors for the coming technological shifts. I find it incredibly rewarding to be part of a company that is operating at the cutting edge of its market and to play a part in the continuous progress of the finance industry,” explained Mr. Granlund.